The bedside clock is a clock display that can be used during the night, and if the device supports an ambient light sensor, also during the day as the display brightness then varies with the environment. If your device supports hardware keys: press the menu button. Otherwise show the Android buttons by swiping into the display from the top or bottom, as usual for fullscreen apps. 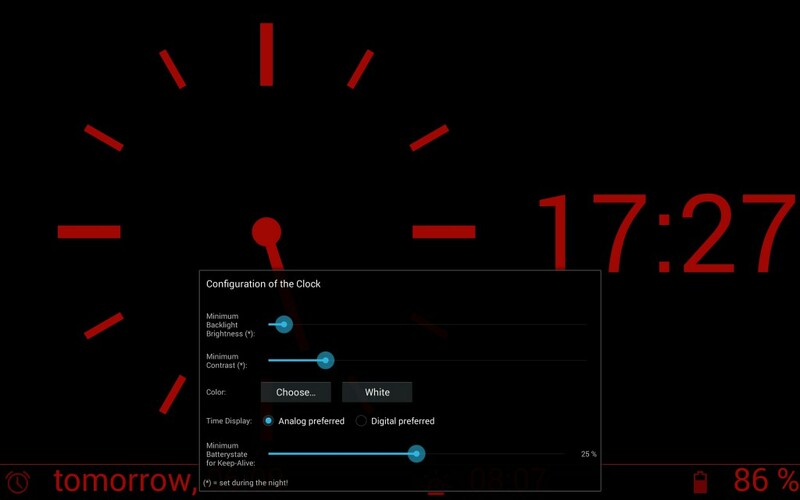 Or, when you press on the clock display, a ‘settings’ button appears at the left top corner.